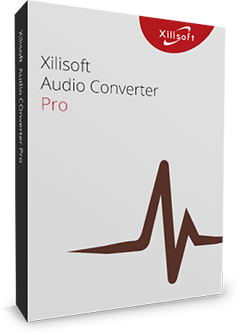 As a distinguished RMVB to AVI video converter and RMVB to MPEG converter, Xilisoft RMVB Converter can not only convert RM, RMVB to AVI, MPEG, DivX, WMV videos, but also convert other video files like MKV, FLV, MPEG, DAT, VOB, WMV. You can extract RA audio from RMVB video as well. 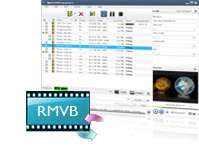 Multi-core CPU support, multithreading and batch conversion make this RMVB Converter a must-have tool for those with a large collection of RMVB/RM videos. 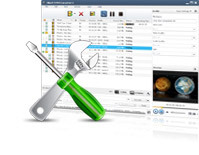 Convert RMVB, RM, FLV, MKV, MPG, MPEG, MPA, DAT, VOB, MP4, WMV, ASF to AVI, DivX, MP4, MPEG1, MPEG2, MPEG4/H.264, VOB, XviD, WMV, 3GPP, 3GPP2. 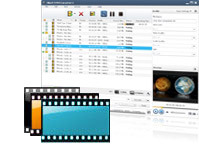 Easily extract MP3, M4A audio file from these video formats with this DivX converter. Support running the RMVB conversion on multi-core CPU. More cores mean faster speed. Adopt NVIDIA CUDA & AMD APP encoding technology to gain up to 5x speed in RMVB conversion process. Set multiple output formats on one source file for converting at one time to make the file playable on various mediums. Set the split time or size you want, then the program will auto split the file into several ones during conversion. To get the file with the size you want, you can use the built-in Bitrate Calculator tool. Extract any segment you favor from the source file by specifying its start time and duration. The adjusted output parameters include video codec, video size, bit rate, frame rate, audio codec, channels, and so on, which are classified by different categories for your easy navigation. Make changes to them according to your own need. This RMVB converter supports multithreading and batch process, thus you can convert a batch of files at one time. Make this RMVB converter run in the background; choose an after done action from quit, shut down, hibernate and standby. Allows you to manage your system power in this RMVB converter. Several LanguagesProvide several product languages: German, Chinese, English, Japanese, French and Spanish.